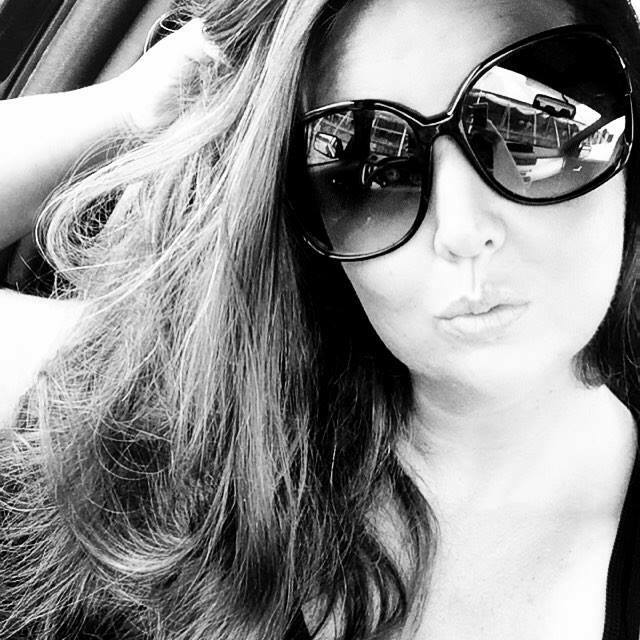 I have to admit, I have never touched a flat iron in my life. I don't even own a hair dryer. Can you believe it? I know I just saw a few of your jaws drop to the floor. It's so true though. I seem to have just the wash-n-go type of hair. I never really thought about "styling" it. But, just because I never have, doesn't mean that my daughter hasn't. My daughter has the complete opposite hair type from mine. My hair is super straight. My daughter has super tight spiral natural curls. 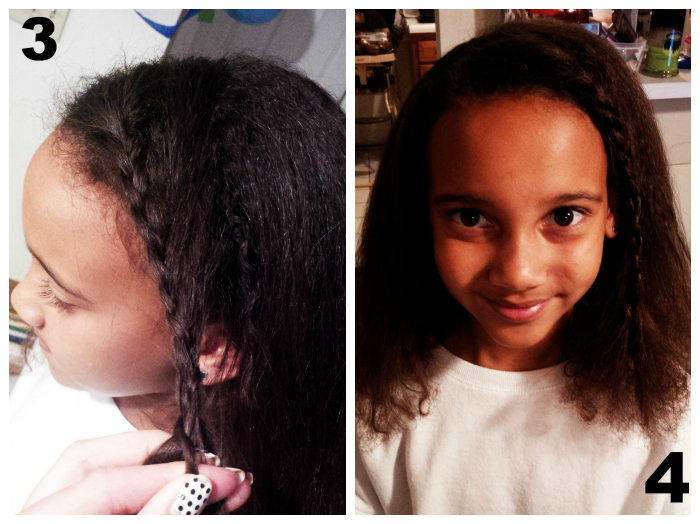 Since she was about five years old, she has asked for straighter hair. I did not want to introduce harsh chemicals to her hair to try and make it straight. That is where the ghd Professional Styler came into play. I have to admit, I was extremely nervous at first. And so was she. We were both first timers here at the new world of "styling" hair. I think we were both more scared of me burning her. But I have to admit, after the first time trying it, it wasn't bad at all. In fact, it was pretty easy to use as someone who has never picked up one before. We were both really excited with the results. After the initial fear sat still and we could see the results, I was hooked. 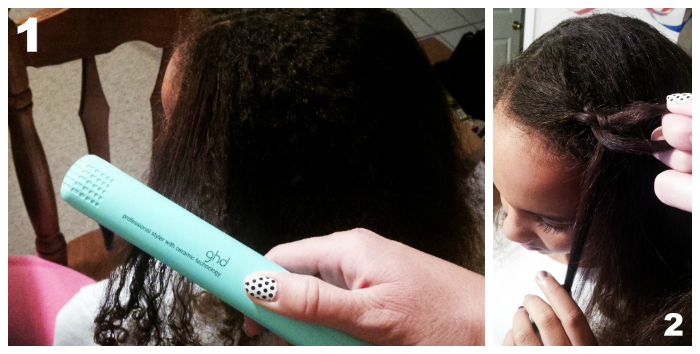 I was a bit skeptical on whether or not this would actually do the trick on her super curly hair. But sure enough, it didn't let us down. Her hair was straight! I had never seen er so excited in my life, than that moment when she turned to the mirror to see her new hair do. Now with the fall season totally in effect here in the Midwest, why not try to use this styler to create a fashionable look? Like one that is currently trending on the runway? Sure!! Up for the challenge. So I once again, pulled my little girl over and got her to help me create a trending look on the fall runways this year. 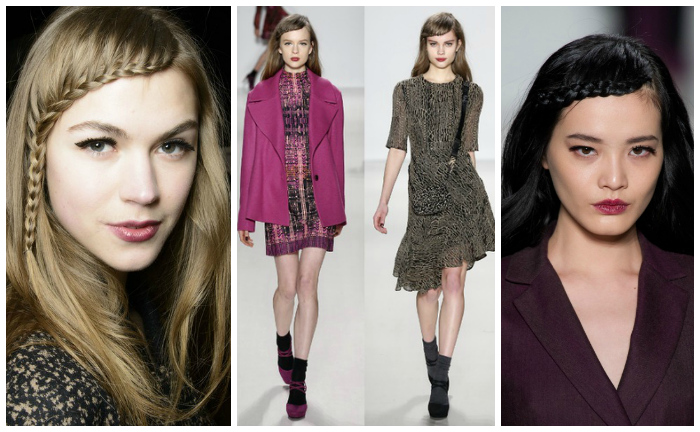 The look I chose was one I have been seeing during the fashion shows for Nanette Lepore. So I used the above looks as my inspiration. I wish I could have gotten a better outcome, but I did my best with a bit of a cranky eight year old girl by this point. But for what it was, it turned out decent. 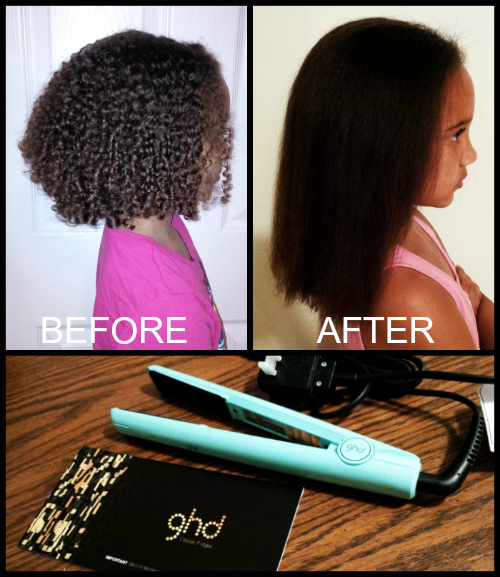 The first step is to grab your ghd flat iron and start straightening that hair. The second step is to part hair off center toward one side of the head. Then start to braid that section of the hair near the forehead. For the third step, just continue to braid down the side of the face, grabbing sections of hair along the way and adding them into the braid. The final step is having the braid complete. In the inspiration photos, the braid ran across the model's foreheads. I attempted it with my daughter but her hair was just not working with me on staying put down. It just wanted to stay above her forehead. But other than that, I think we accomplished a good part of figuring it out. 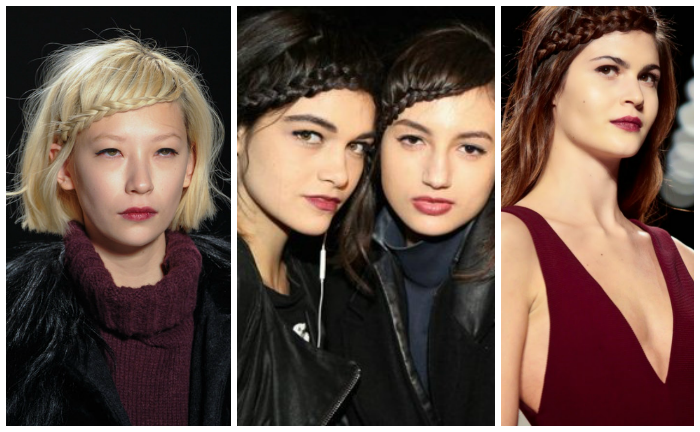 What is your favorite runway hairstyle this fall? 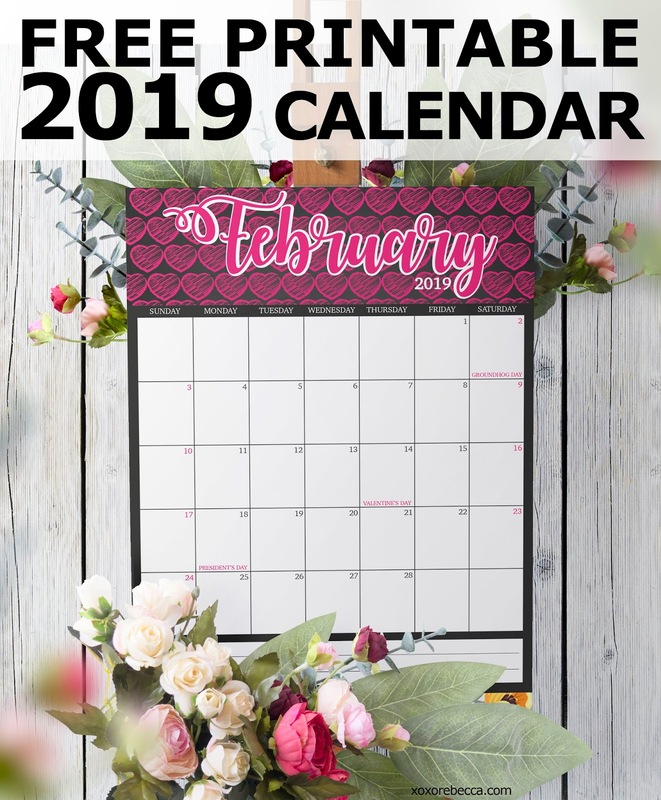 Do you keep up with Fashion Week?